ASC Engineering Services is a California based company, working in the area of testing and certification of electrical products for more than 25 years. In addition, we provide a turnkey operation in product integration of manufacturing, medical, industrial and information technology sectors. ASC Engineering has built a solid foundation of product testing and certification, capitalizing on the skills and experience of its engineering and management team. ASC Engineering has undergone a transformation from a testing and certification company, to a service integrator company with the means to deliver its service to the global market. Our detail-oriented team is committed to achieving excellence in our services during the course of business. Years of experience in product evaluation, testing and certification undoubtedly gives us the upper hand in understanding and executing even the most complex projects in a professional manner. ASC Engineering has a very clear focus; to provide the necessary engineering tools to assist companies to get their product complies to the requirement of UL, CSA, IEC and BSI standards. 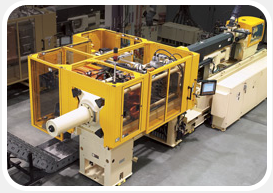 We cover all facets of electrical machinery disciplines to solve your technical needs and exceed your expectations.